The paper first introduces the concept of implicit and explicit temporality, referring to time as pre-reflectively lived vs. consciously experienced. Implicit time is based on the constitutive synthesis of inner time consciousness on the one hand, and on the conative–affective dynamics of life on the other hand. Explicit time results from an interruption or negation of implicit time and unfolds itself in the dimensions of present, past and future. It is further shown that temporality, embodiment and intersubjectivity are closely connected: While implicit temporality is characterised by tacit bodily functioning and by synchronisation with others, explicit temporality arises with states of desynchronisation, that is, of a retardation or acceleration of inner time in relation to external or social processes. These states often bring the body to awareness as an obstacle as well. 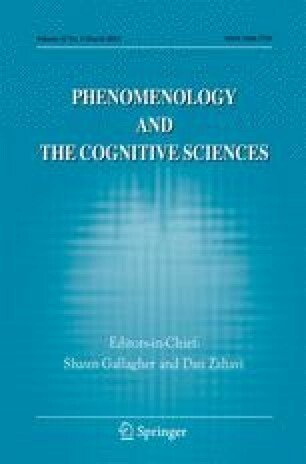 On this basis, schizophrenia and melancholic depression are investigated as paradigm cases for a psychopathology of temporality. Major symptoms of schizophrenia such as thought disorder, thought insertion, hallucinations or passivity experiences may be regarded as manifesting a disturbance of the constitutive synthesis of time consciousness, closely connected with a weakening of the underlying pre-reflective self-awareness or ipseity. This results in a fragmentation of the intentional arc, a loss of self-coherence and the appearance of major self-disturbances. Depression, on the other hand, is mostly triggered by a desynchronisation from the social environment and further develops into an inhibition of the conative–affective dynamics of life. As will be shown, both mental illnesses bear witness of the close connection of temporality, embodiment and intersubjectivity.